Cauldron have always had a special place in my heart. After all - you can't help but love tracks like "Chained Up In Chains" or "Miss You To Death" And while Cauldron have always been a little bit silly they are also top notch musicians - as evidenced by the stellar songwriting on their latest release, the high powered and bombastic In Ruin. 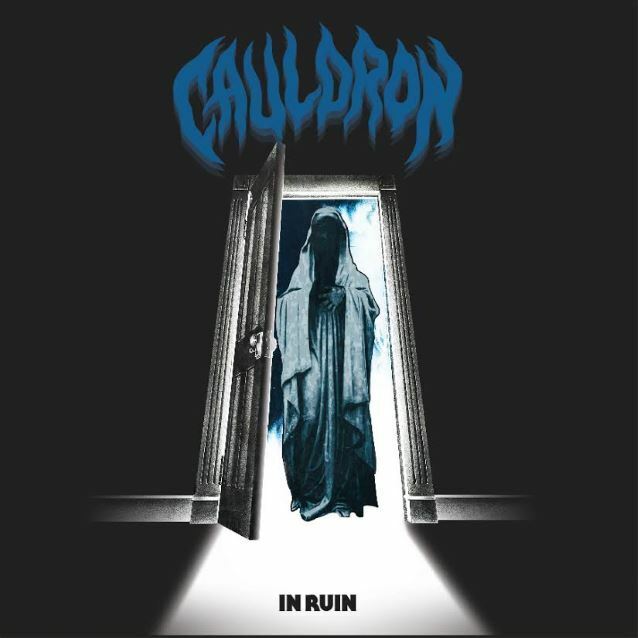 Seeing the band continue to grow their sound and put out even more exciting material that remains as tongue in cheek as ever, Cauldron remain heavy metal kings. It's no surprise that this record is rather different from their last full length, 2012's Tomorrows Lost or even the 2014 EP Moonlight Desires the band is clearly getting older at this point and there sound is distinctly more mature. While yes there are party rockers on this record that will get you raising your fist to the sky I get the impression that the real heart and soul of Cauldron lies more in the heavy and poignant ballad-like tracks that make up much of this album. The band has a new sense of soundscapes that they channel in their distinct NWOBHM way, leading to some pretty interesting music that manages to feel like a breath of fresh air in a crowded scene. Of course - you can still find pretty much everything that makes Cauldron great on this record - be it the strong sense of melody or the big choruses, they are still here, we just see the band taking these ideas in new directions - and honestly I like it better that way. In Ruin stands as the next chapter in Cauldrons legacy and I get the distinct impression that it will be carrying them further forward than ever before. Cauldron are remind us what we love so much about good old heavy metal - and if you can't take it - leave the hall.